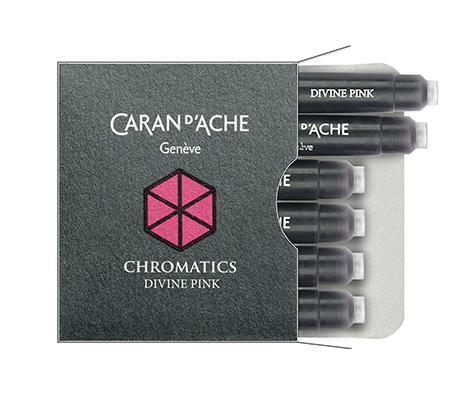 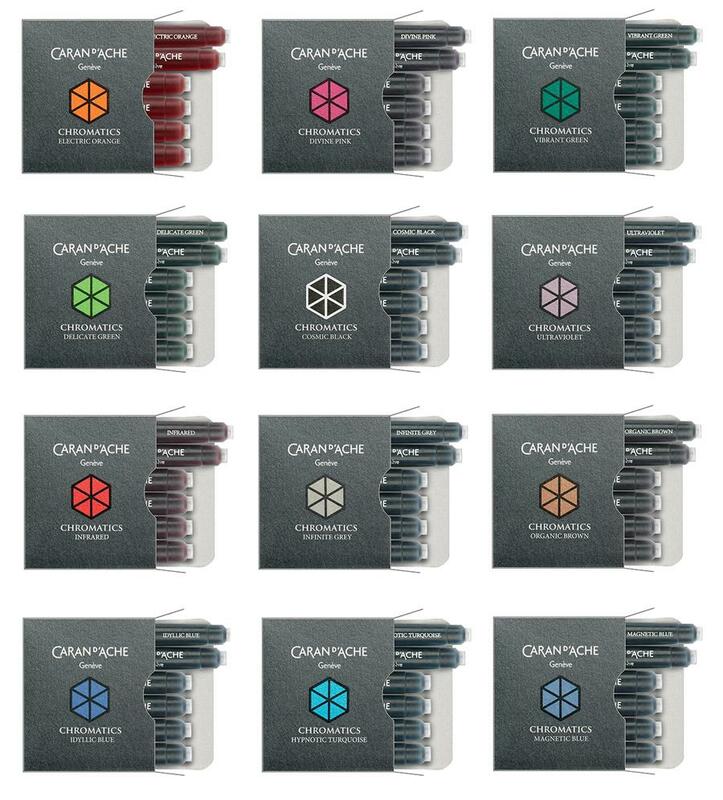 The twelve colours of the Chromatics collection are also available in convenient small ink cartridges, compatible with all Caran d'Ache fountain pens. A prism of Electric Orange ink, frenzied and energetic, that reveals the inspiration and character of a beautiful pen. • International and European Standard Ink Cartridges.